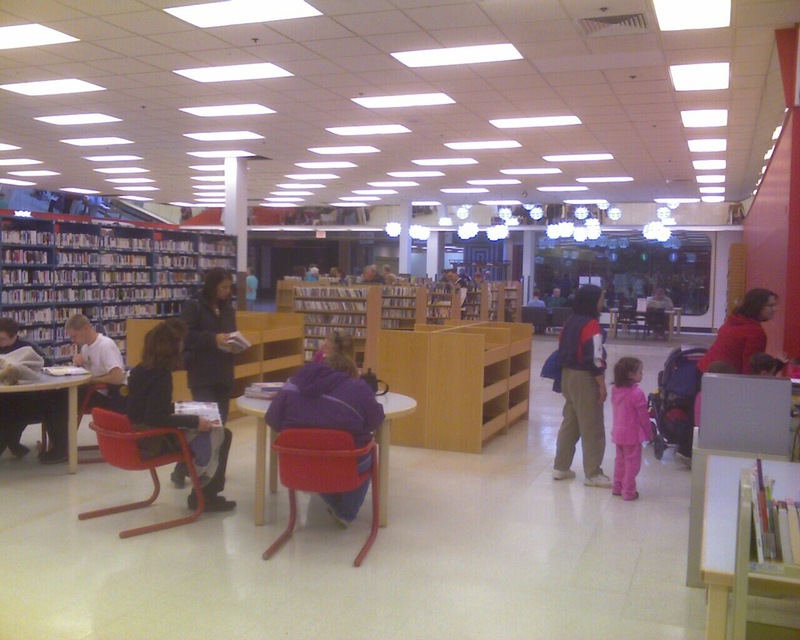 Back in June, 2008, our city library was destoryed in a record breaking flood that damaged most of our downtown. 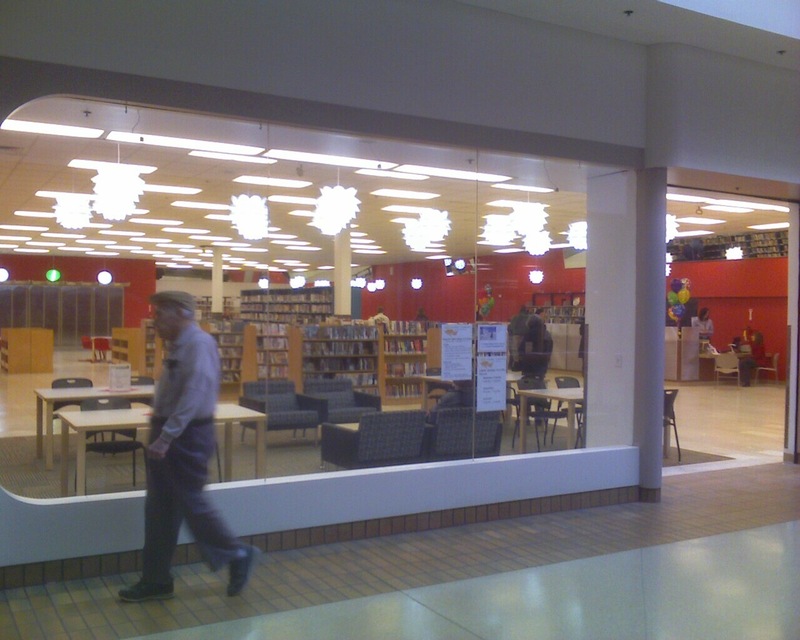 Since then the library has been operating out of its small, branch location at Westdale Mall. 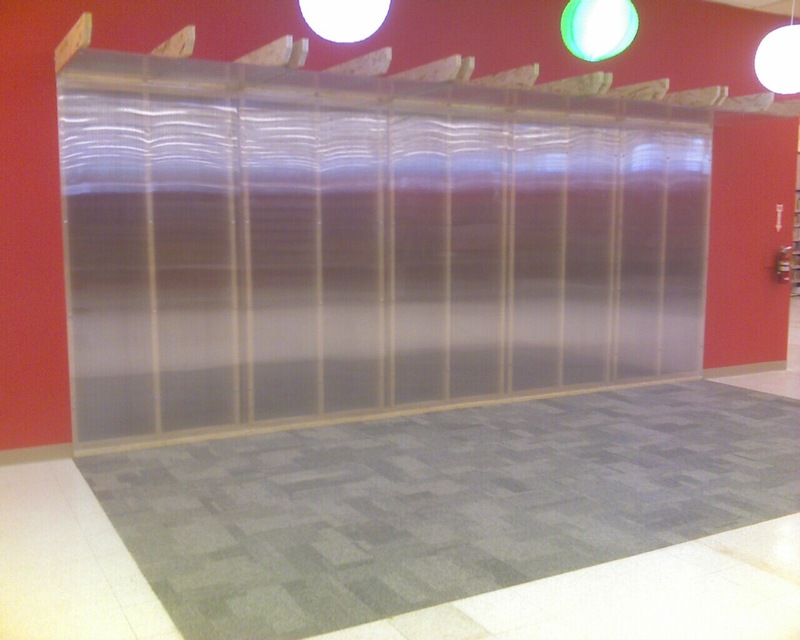 A few months ago a second storefront was leased at the mall to house new materials, with a 3rd shortly after to provide computer and Internet access to patrons. With the library’s long-term future unclear (for some reason it’s not nesecerilly going to return to the original building downtown, which has been gutted and stripped down to an empty shell) the board decided to obtain an economical space that could be mdoestly furnished to serve the library’s needs for up to five (I think) years. 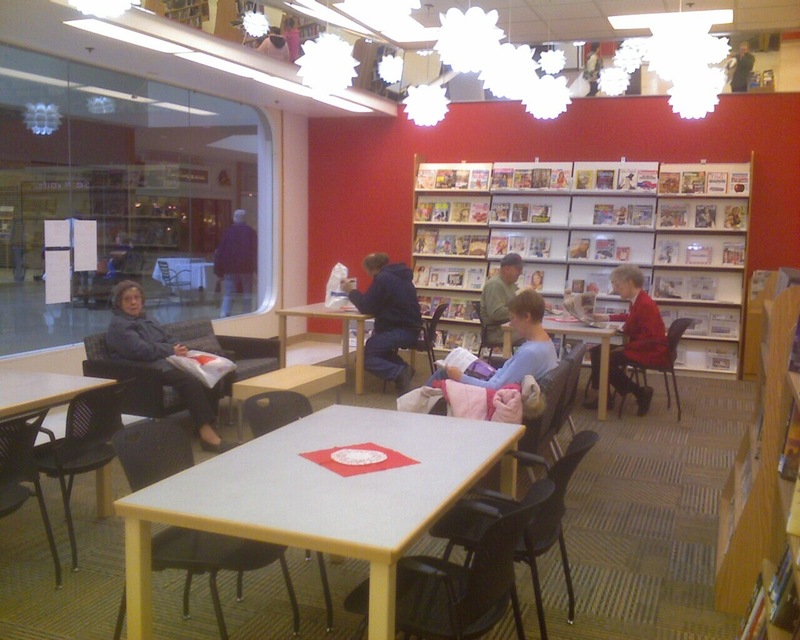 On Monday the new “bridge” library opened in an old Osco storefront in Westdale mall. 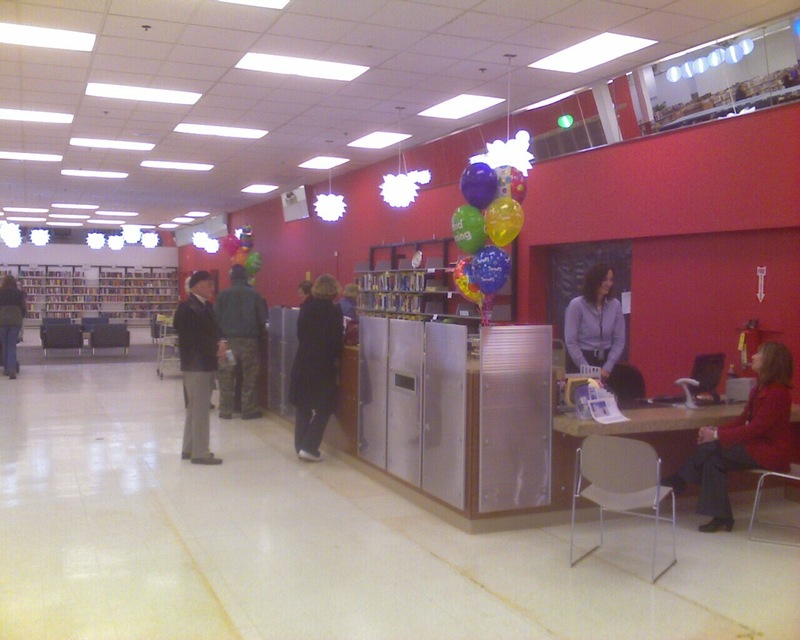 The grand opening was today, and we were there taking some pictures. 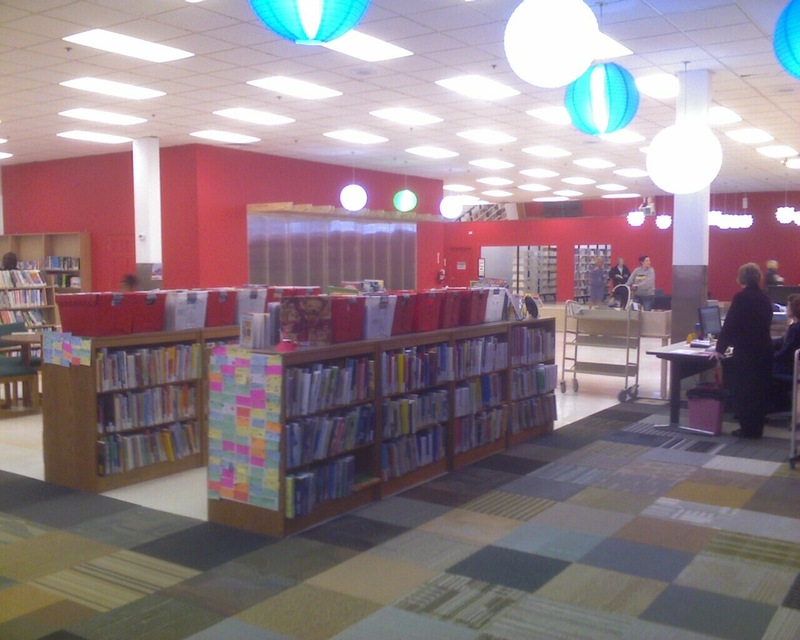 The new library looks nice for a temporary space… except for one big draw: the floor. I hate to mention this first, or even at all, because I understand why they didn’t refinish or carpet the entire floor. When you’re remodeling a space to only use it for a few years, and you’re on a limited budget, you don’t want to spend a lot of money on aesthetic improvements that you can’t take with you when you move. New furniture, computers, lighting, etc. can all come to a permanent location someday; Not necessarily floor tiles. And the library did spend some money on repairing floor tiles that really need it. The floor is really a minor complaint… it just ruins the otherwise successful attempt to make the bridge library look new, innovative, and generally nice. To get my other semi-complaint out of the way, the adult books section is crammed in the back of an unfinished side-room. 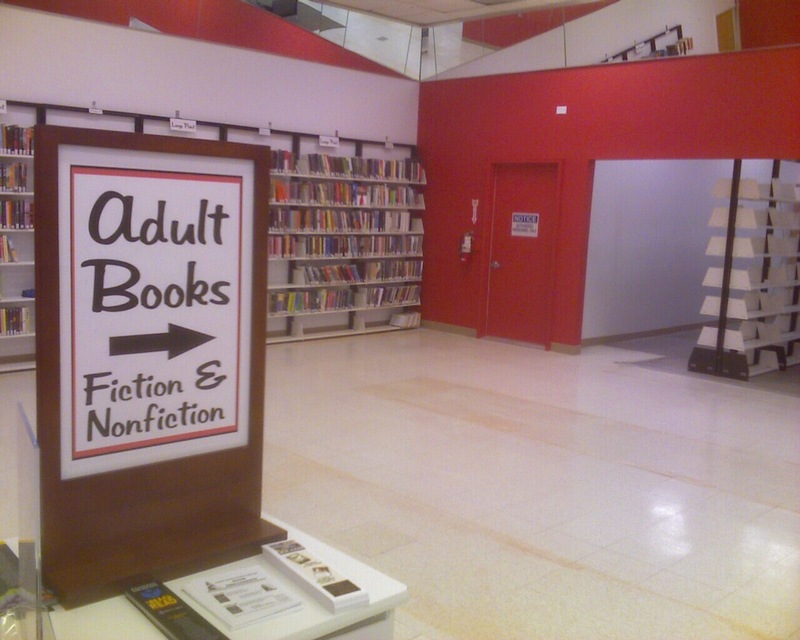 If we were talking about an “adult” adult book section I could maybe understand this. But this is what a large portion of patrons are coming for. 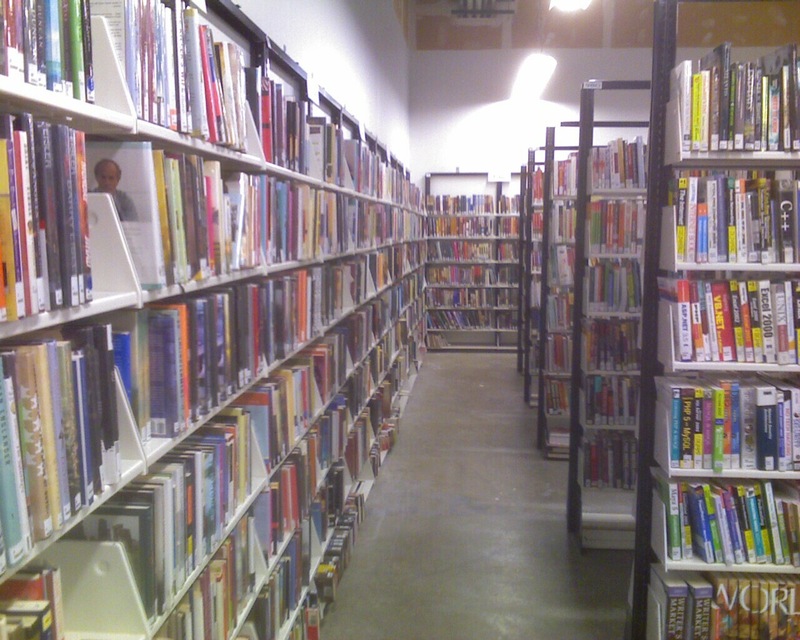 Why don’t we get to spend our browsing time in the nicer parts of the library? Also, this section is almost full. 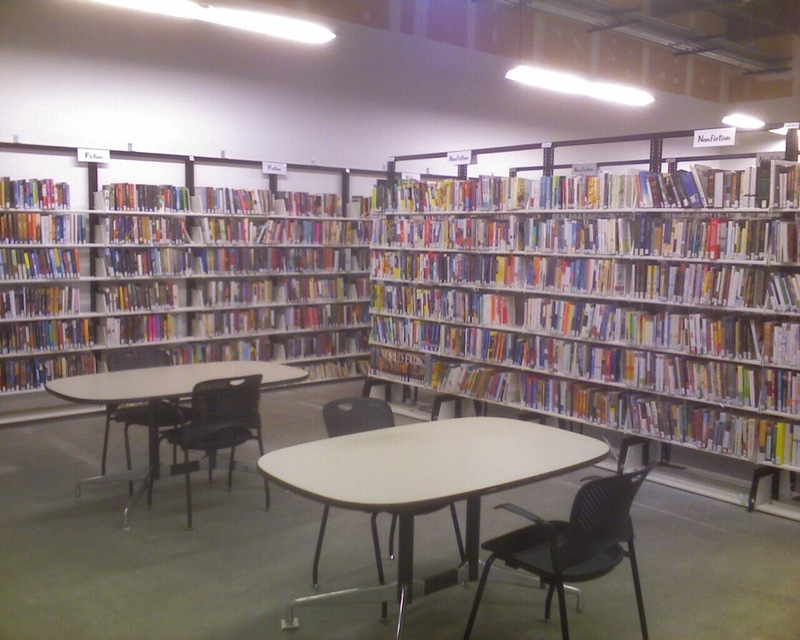 Hopefully some of the vast empty spaces in the main library space are reserved to allow the adult collection to expand as well. It’s clear there’s more work to be done elsewhere. Sections that appear to have some function other than sitting empty… well, are sitting empty. 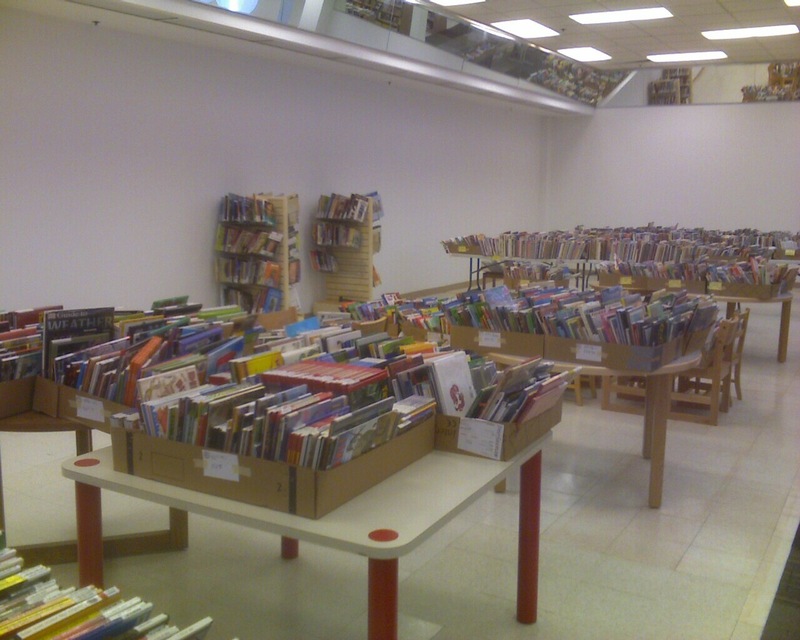 And lots of kids books are still sitting in boxes with no shelves in site for storing them. 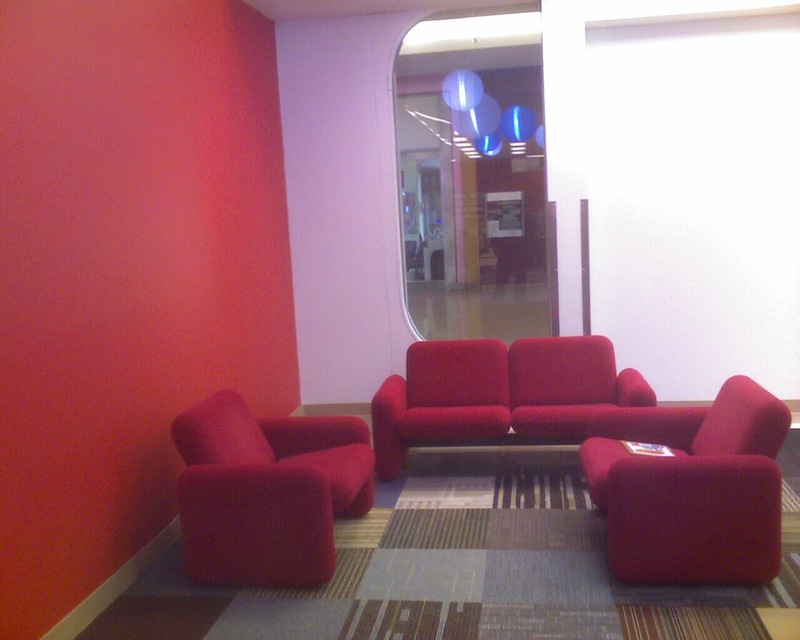 The rest of the library is nice, with sitting areas, new carpet, furniture, and light fixtures. Overall, I’m happy with what the library has been able to create in a temporary location while we wait for a long-term solution. 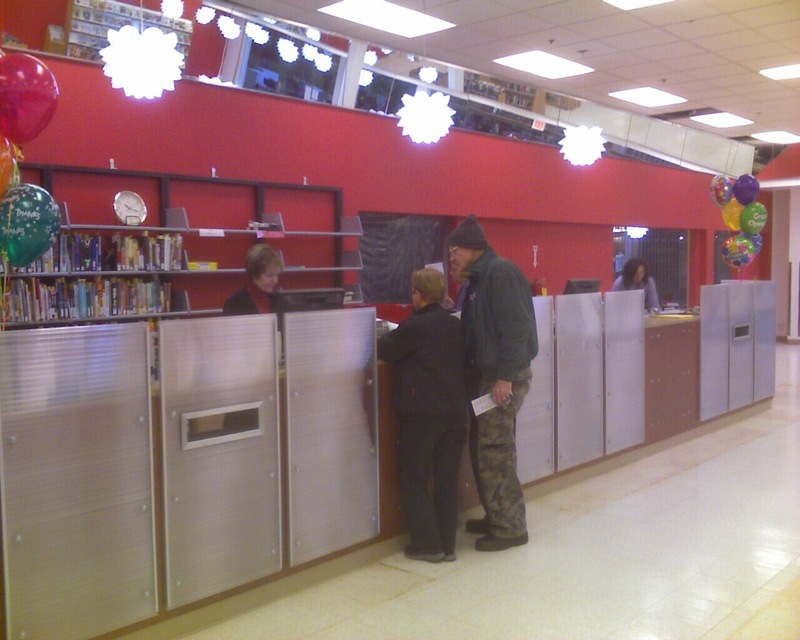 While far from perfect, the bridge library is a big improvement over the three separate storefronts being used since the flood, and it looks like it has enough space to re-grow the destroyed catalog until they move again. I’m looking forward to spending more time here with my family. Nice. I’m always impressed with how much you appreciate your library. I haven’t even visited the one in town here, and I moved here in 2004. Makes me feel guilty. That’s great. 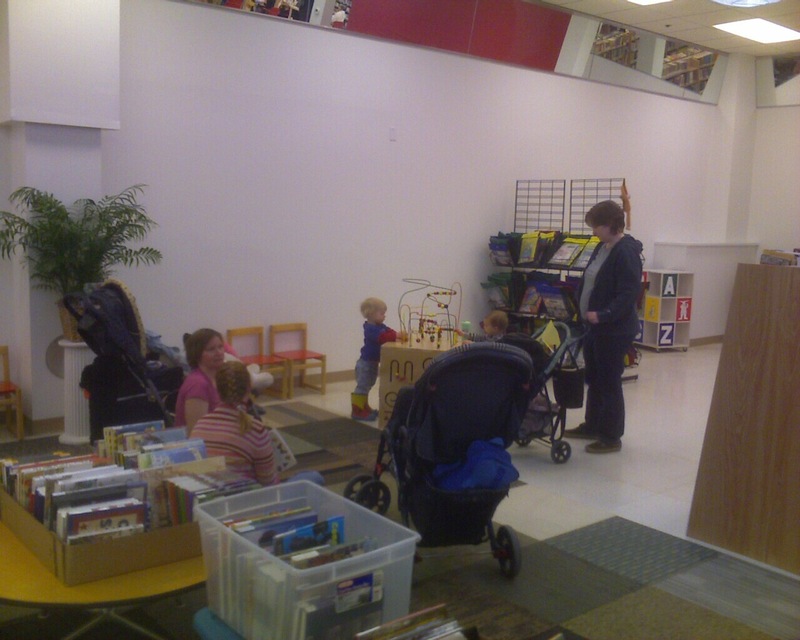 I can imagine that the library will become a much more regular destination when we have kids. It’s convenient, fun, and – best of all – free. 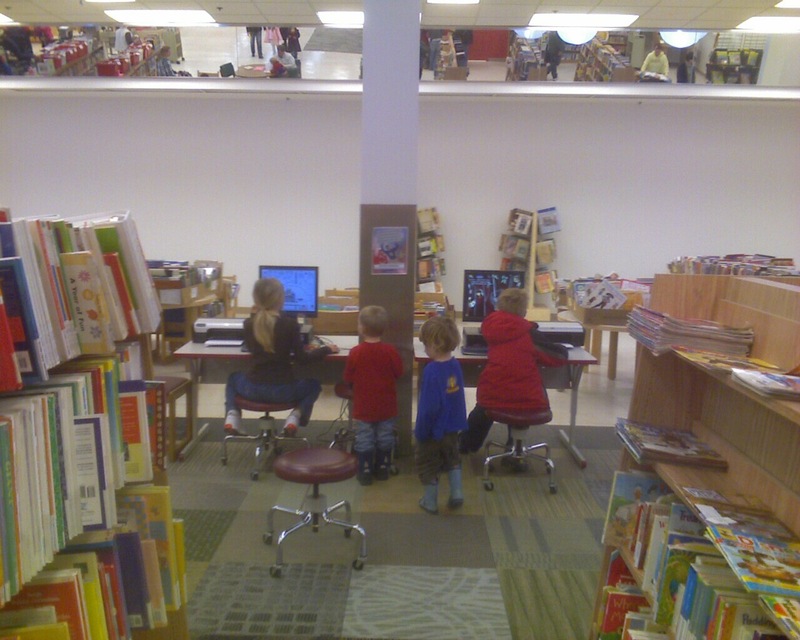 Glad to see the library is back up and running. I’ll be sad if they don’t move back downtown though. I have some good memories there. Oh, and J got tackled there once by a security guard. No joke. 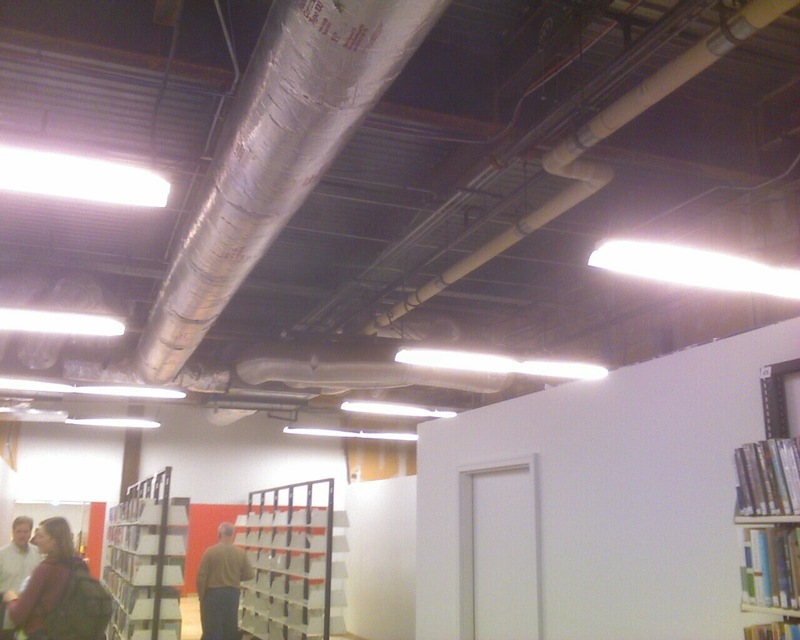 We finally got to go to the New Space this last weekend for the flood stories presentation. 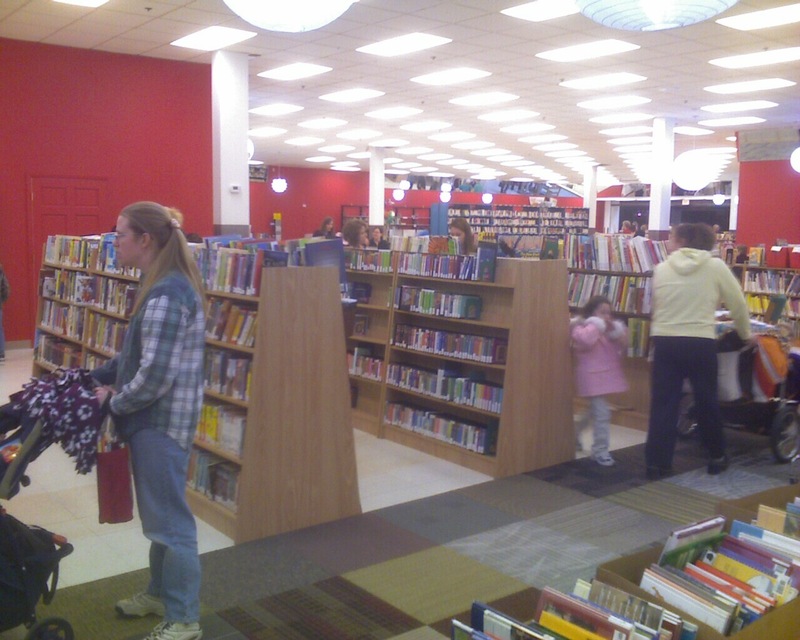 Nice nice nice place, and my son got his FIRST Library card, he’s getting books and reading them FAST and then begging to go to the library again.. I love that!